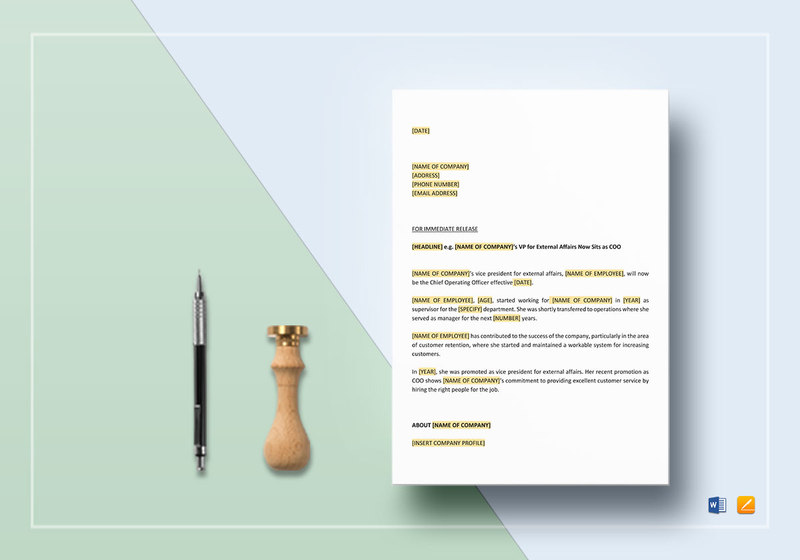 Announce an employee promotion via press release with the help of this template. 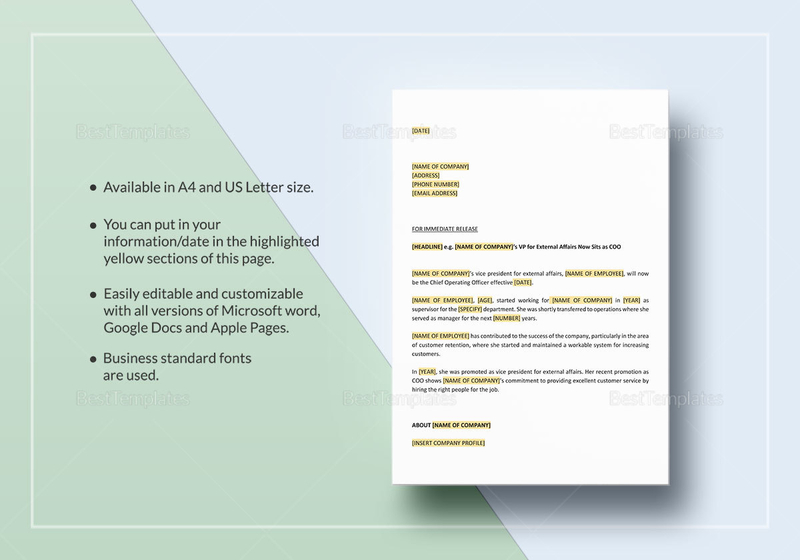 Available for download in Microsoft Word, Mac Pages, and supported by Google Docs, simply customize the release by editing the highlighted areas with your own information. Print or share digitally or via email for media connection purposes.